Saudi Arabia aims to install 54 GW of low carbon power by 2032, of which 41 from solar. How will the country reach its goal? Which opportunities can this new market offer for foreign renewable energy companies? We asked Yahya Shakweh, Vice President at Saudi' Arabia's Advanced Electronics Co.
Not only oil: Saudi Arabia aims to obtain one third of its power from renewable sources by 2032, installing 54 GW of low carbon power of which 41 from solar. How will the country reach its goal? Which opportunities can this new market offer for foreign renewable energy companies? 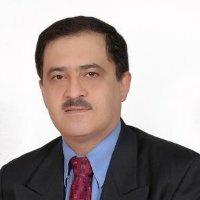 We asked Yahya Shakweh, Vice President at Saudi' Arabia's Advanced Electronics Co., who on November 28th in Milan will also be the key note speaker at the OIR organized seminar "Renewable Energies in the Gulf Countries. Business Opportunities for the Foreign Investors". Dr. Shakweh, Saudi Arabia is very rich in fossili fuels, why has it decided to bet on renewable energy? The decision of Saudi Arabia to diversify its oil-dependent economy by investing in renewable energy sources is a logical step, since it will free-up finite oil & gas resources for export and for other industrial uses. This will also extend the availability of the Kingdom’s natural resources for future generations and help meet Saudi Arabia’s own, ever growing, energy needs. For example, in 2000 twenty four percent of the country’s oil and gas production was used to cover domestic needs and ten years later, this had increased to thirty five percent. Estimates suggest that more than forty percent of the Kingdom’s oil and gas production would be required to cover the domestic demand by 2020. Renewable energy will also accelerate the development of long-term sustainable power and water supply capacities, which is an important priority given the country’s current supply and demand imbalances. It is worth noting that Saudi energy consumption per capita amounts to over 7,000 kWh annually, and as a whole the Kingdom is estimated to be within the twenty highest electricity consumers worldwide. The establishment of a national renewable energy industry will contribute strongly to the strategic goals set out by the Saudi Ministry of Commerce and Industry, as well as promoting Saudi Arabia’s industrial centers and future projects. Renewable energy industries are expected to create employment for locals, while assisting in the national development of human capital that is required to build a sustainable knowledge-based economy, with industrial activities in research and development (R&D) and manufacturing. Furthermore, committing to such clean energy sources will also benefit the country’s environmental conservation efforts. Which renewable energy sources are more suitable for the features of the country? Detailed studies, commissioned by national institutions, indicate that the most sustainable sources of renewable energy for Saudi Arabia are photovoltaic (PV) and concentrated solar power (CSP), geothermal, wind energy and waste-to-energy. Saudi Arabia is an ideal location for both CSP and PV power generation. This is due to the remarkably high solar radiation of around 2,550 kWh/m2 per year, which is almost double the average radiation in Germany for example, as well as the availability of vast areas of empty desert that can host solar installations. Additionally, Saudi Arabia has huge deposits of the type of clear sand that can potentially be used in the manufacture of silicon PV cells. The Kingdom has viable wind energy potential, with close to five hours of full-load wind per day on average, which is one of the highest in the Middle East and North Africa (MENA) region. The Arabian Gulf and the Red Sea coastal areas are Saudi Arabia’s main regions with potential for wind energy development. Saudi Government has announced a plan to reach 41 GW of solar power by 2032: which policies will it introduce to achieve this target? Saudi Arabia’s policy has not yet been announced, but it is anticipated to be a mix of competitive bidding and a feed-in tariff. Recently, the King Abdullah City for Atomic and Renewable Energy (KA CARE) announced the establishment of the Sustainable Energy Procurement Company (SEPC). This Saudi government-backed body will be responsible for administering the procurement rounds and managing the Power Purchase Agreements (PPA) awarded under the Competitive Procurement Process (CPP). The CPP will consist of an introductory round of five to seven projects, followed by additional rounds over a two to three year period. These projects will target 7000 MW of capacity, with each being no less than five MW. KA CARE has also announced a renewable energy target of fifty four GW of renewable energy including solar, wind, geothermal and waste-to-energy projects, by 2032. KA CARE will publish the form of the proposed PPA for comment from interested parties and for public feedback. It is expected to provide for a term of twenty years and will be entered into with SECP, though details are yet to be clarified. The decision on whether or not to introduce a Feed-In Tariff (FIT) will be made after the second full-scale procurement round. If such a FIT were adopted, it would probably be used initially only with smaller-scale projects involving proven technologies. In terms of investments, Saudi Arabia has the most robust and well-proven Independent Power Producer (IPP) framework, supported by a strong and liquid financing industry, which has demonstrated its capability to locally finance major infrastructure projects. Does distributed generation also have a role in the plan? Although the main focus is on utility-scale renewable power plants, distributed generation will be limited to remote locations that are not grid-connected. Small villages represent an excellent potential for micro generation with hybrid designs including solar energy, desalination, cooling, and more. 41 GW is a big amount of solar power. How will the country integrate it in to the electrical system? Is it compatible with a non-flexible source as nuclear power, which the country also wants to implement? To start with, it is important to note that the creation of the Saudi Electricity Company (SEC) has played a pivotal role in the consolidation of a power sector that was in the past highly fragmented. While being semi-government, SEC also benefited from a monopoly in transmission and distribution and a quasi-monopoly in generation. In general, the requirements for integrating new solar plants with existing distribution networks should not be any different from those for interconnecting larger conventional power generators with the power transmission system. However, the renewable sources are often geographically dispersed and the load can be somewhat intermittent. KA CARE has already commenced an engineering and technical review of renewable energy impact on the national power grid. This study involves the active participation of various key local stakeholders, including SEC, National Grid Saudi Arabia, Ministry of Water and Electricity and Electricity and Co-Generation Regulatory Authority (ECRA). The study is a key to understanding the main technical requirements and challenges of connecting renewable energy sources to the Saudi national grid. The compatibility of different renewable energy sources involved in Saudi power production has already been studied. It is anticipated that nuclear and other sources, such as geothermal and waste-to-energy, will meet base-load demand up to night-time demand during winter, while PV will meet total daytime demand year round. The CSP, with storage, will meet the maximum demand difference between PV and base-load technologies, with hydrocarbons meeting the rest of the demand. Does the plan involve also storage systems? KA CARE is considering energy storage as a priority requirement, but the search for a technical solution that is commercially viable at a large scale continues. However, CSP projects that are bid into the introductory round must include at least four hours of storage capability. The national power network in Saudi Arabia is still in the development stage, but intensive efforts are being made to link the different Saudi regions together by meshing its grid via regional interconnections. It is estimated that 4500-5000km of 380kV lines will be laid by 2016. The investment in transmission and distribution lines will be around eight to ten Billion U.S. Dollars. There are also plans to link the GCC power networks together, and the six Gulf Countries have decided to join forces to build a unique interconnection system. This plan is currently being executed in three development phases. Will the power from solar plants be used also to desalinate sea water? Energy-intensive desalination plants have traditionally run on fossil fuels but renewables, particularly solar power, are now beginning to play a part. Based on current trends Saudi Arabia would otherwise be using most of its oil production for desalination by 2050. The Saline Water Conversion Corporation (SWCC), the world’s largest producer of desalinated water that accounts for eighteen per cent of global output, has taken a long view and aims to gradually convert all its desalination plants to run on solar power. The Al-Khafji solar desalination project, near the border with Kuwait, will become the first large-scale solar-powered seawater reverse osmosis (SWRO) plant in the world, producing 30,000 m3 of water per day for the town's 100,000 inhabitants. Al-Khafji is the first phase in the King Abdulaziz City for Science and Technology (KACST) solar energy program to reduce desalination costs. For the second phase, construction of a new plant to produce 300,000 m3 of water per day is planned by 2015, and the third phase will involve several more plants by 2018. Is the country planning to develop also a strong manufacturing industry for renewables? Building a strong national manufacturing industry is a strategic objective for the Saudi Government, addressed in its Saudi National Industrial Strategy. The National Industrial Clusters Development Program (NICDP) spearheads the creation of a manufacturing ecosystem in Saudi Arabia. KA CARE is driving the creation of a strong manufacturing industry for renewables in Saudi Arabia, through its recently published consultation whitepaper for the “Proposed Competitive Procurement Process for the Renewable Energy Program”. The paper outlines the CPP, proposed by KA CARE for solar, wind, geothermal and waste-to-energy projects in the Kingdom. Local content is a crucial and substantial component of this. A new establishment named the Sustainable Energy Training Fund (SETF) is being considered. It will be funded by a one percent of gross revenues surcharge. The SETF fund will provide support for training programs, the training of Saudi nationals on specific projects, and will provide grants to educational institutions for the development of renewable energy skills. In addition to the training surcharge there will be a one percent surcharge for a Sustainable Energy Research Fund, which may be accessed for research and development in the Kingdom, with a focus on commercialization. What is the role of your company in this mission? As one of the leading Saudi offset companies, Advanced Electronics Company (AEC) is fully aligned with the Saudi Arabian Government’s strategic objectives of economy diversification, technology transfer, job creation and self-sustainment. We are extremely well positioned to be an integral part of a regional solar energy ecosystem. AEC has already identified a clear role through building on its core, world-class capabilities in electronics manufacturing, electronics repairs, and systems integration. We have been working very closely with K.A.CARE and have built a number of alliances, including those with KACO new energy to manufacture PV inverters, CEG Elettronica Industriale to manufacture UPS, Battery chargers and Battery Management Systems, and ENEL Distribuzione for supporting the future development of the Saudi national distribution network. What is the contribution that Italian renewable companies could give to the development of solar in Saudi Arabia and which are the opportunities they could access? Considering the depth and breadth of the Italian renewable energy industry, as well as the diversity and potential size of the Saudi renewable energy market, there are ample opportunities for willing Italian companies such as Original Equipment Manufacturers (OEMs), Engineering Procurement and Contractors (EPCs), project developers and investors across the full supply chain of renewable energies. These opportunities include everything from concept and design to manufacturing, system integration, engineering and contracting, project development, and operation and maintenance. Such opportunities are best harnessed through partnerships with credible and well-established local players, who can add values well-beyond commercial representation. Understanding the local business culture, as well as willingness to invest in the local economy through localization, are important ingredients for the success of any company seeking to do business in Saudi Arabia.